TVNZ reports the new season of Doctor Who, which continues tonight (TVNZ 2, 7.30), has recorded more weekly streams than any other show except streaming supremo Shortland Street. 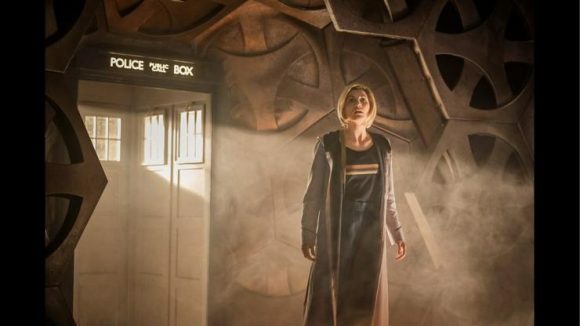 “Our first episode of Doctor Who has reached 44,000 OnDemand members, who have streamed the episode 105,000 times,” TVNZ corporate communications manager Rachel Howard told ScreenScribe. “To put that in context, this makes Doctor Who our second highest reaching show each week behind Shortland Street. “What’s interesting for us is that 48 percent of these OnDemand viewers of Doctor Who are male. Howard says the week Doctor Who launched, OnDemand saw a 10 percent increase in its weekly total of all people aged 13 and over. Episode three will be OnDemand from Monday morning. I haven’t watched Ep # 2 yet, but I must confess the thought of adverts that I can’t zap on has driven me to adding Ep # 2 to my Freeview recorder, so when the ads come, I can minimise the disruption! So including the 105k streams (assuming all 18-49) Dr Who gets about 8.6% addressable audience share? Give or take? To bypass the ads on TVNZ OnDemand use Adblock on a browser on a computer. Thanks Fsmith. TBH I use the Apple TV app for TVNZ on Demand, but thanks for the tip should I stream from my desktop its good to know how to minimise pesky interuptions!. I find the ads on Dr Who fairly minimal compared to some of the US on-demand channels. Ok, so Freeview Dr Who with zapping the ads was better, but the continuity and flow is still ruined. It’s really noticeable when shows without breaks (like Dr Who) have breaks forced into the show at often the worst moments. If there is a natural break then a zapped advert isn’t too obtrusive, but the flow in this show is ruined. I think I may have to go back to downloading a 1080p ad break-free version and watch the episodes uninterrupted. I just watched the Rosa episode and I’m absolutely blown away. It’s definitely one of the best Doctor Who episodes ever. Hi Trevor, I have my 1080p uninterrupted episode ready to go so it should be good…! You will love it Rosco, actually I’m looking forward to when it gets released on Blu-ray. Thanks Trevor, I’ll let you know what I think of the uninterrupted Rosa episode. So you buy the Blu-ray? Is that for the all the extras, goodies and deleted scenes and the like? Personally I’m not sure I would as I’m not sure I can justify the purchase. One reason I would buy the Blu Ray is picture quality (but cant justify this as I’ve already watched it in 1080p), but if I had a cinema surround system, with the often Dolby soundtrack of a Blu-ray … maybe I could swing it? Yes, I always buy the Doctor Who Blu-rays as they normally have LOTS of xtras and look and sound much better than on TV. I see it’s being released on Blu-ray at the end of January in the USA. Yes, I must say I did enjoy the Rosa episode. And watching it uninterrupted with the natural flow is so much better, you can just sit back and watch the story unfold. Watch again via uninterrupted Blu-ray, it’s worth it.